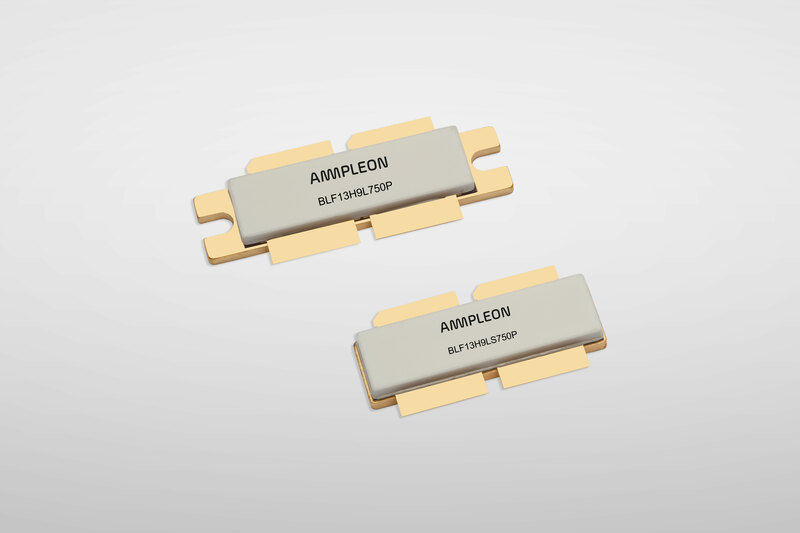 Nijmegen, The Netherlands – September 25, 2018, Ampleon today announced the BLF13H9L750P, a 750 Watt Gen9HV LDMOS RF power transistor designed specifically for use in particle accelerator applications operating in the 1.3 GHz spectrum. Constructed in a ceramic 4-lead SOT539 format and available both in a flanged bolt down package (BLF13H9L750P) and a flanged earless package (BLF13H9LS750P), the transistor delivers what is believed to be the highest efficiency available in its class of better than 62%. With such a high operating efficiency specification, the transistor helps to deliver significant power savings compared to other solid state competitor devices. In addition, when compared to older klystron and valve-based equipment, a solid state approach requires considerably less maintenance, has a longer life cycle and requires less physical space, further contributing to lower operating costs. The BLF13H9L(S)750P transistors also feature a market-leading gain of 17 dB. The Ampleon Gen9HV 50V LDMOS process was introduced during 2017 and yields transistors of high consistency ensuring customers can maintain high levels of reproducibility during production.